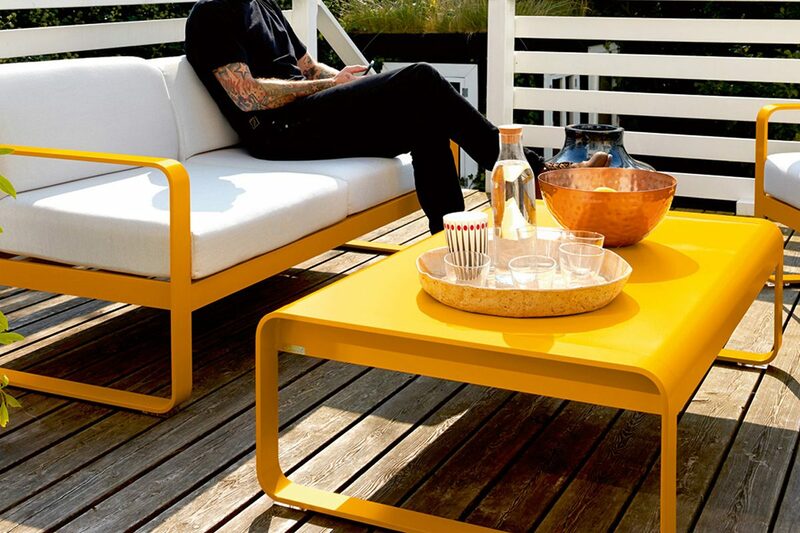 This modern-looking metal table is the ideal complement to the Bellevie garden furniture set. 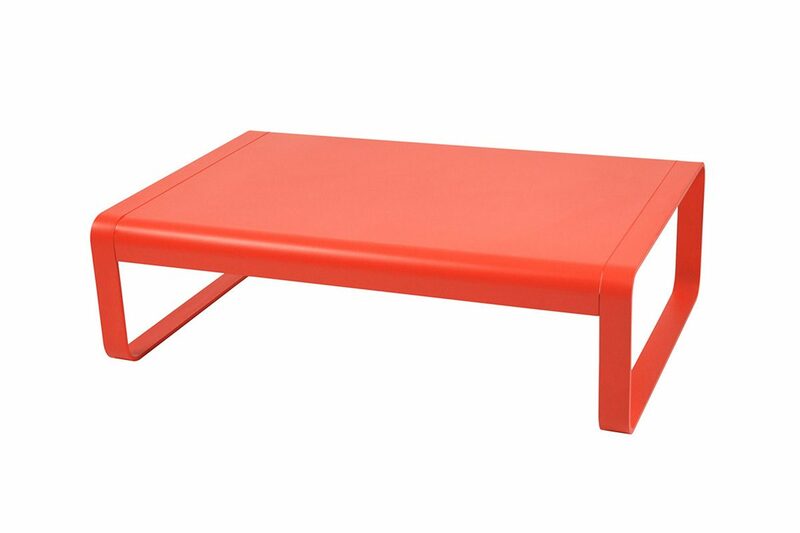 Made from aluminium, it is ideal for outdoor use and easy to move – sturdy and light in equal measure. 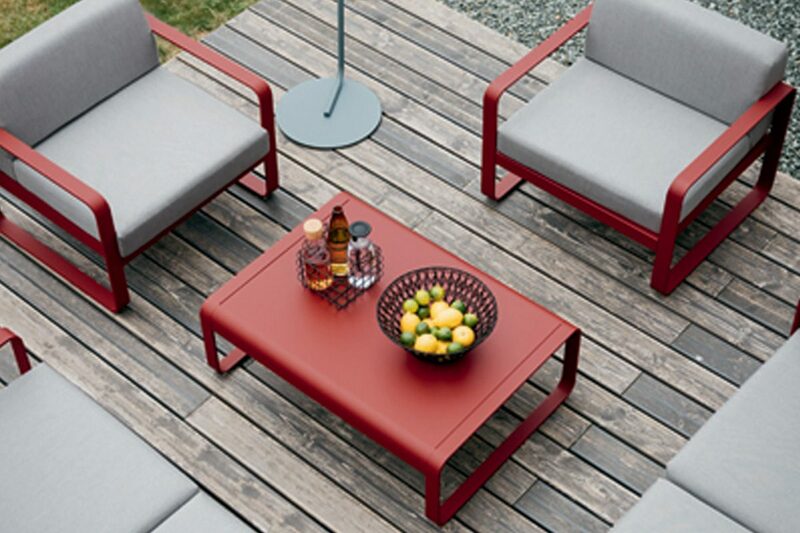 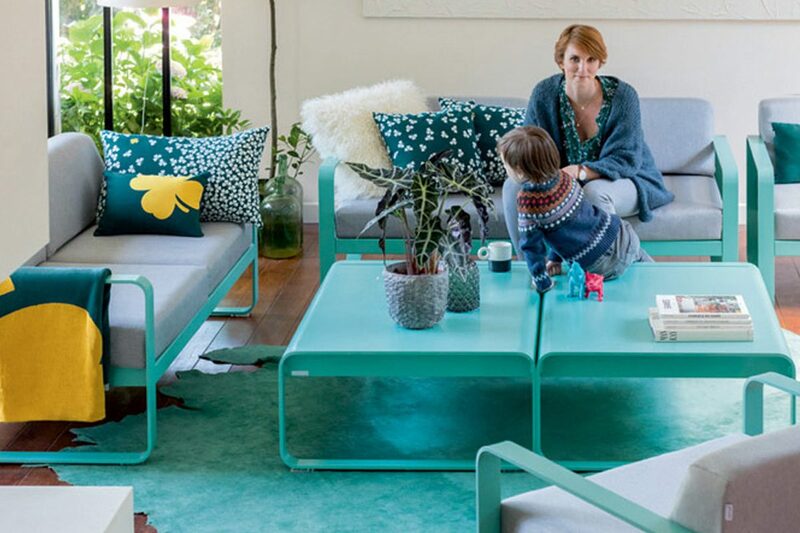 This welcoming garden low table, with its generous dimensions and gentle curves, is available in all the colours of the Fermob colour chart – perfect for creating a customised space to relax. 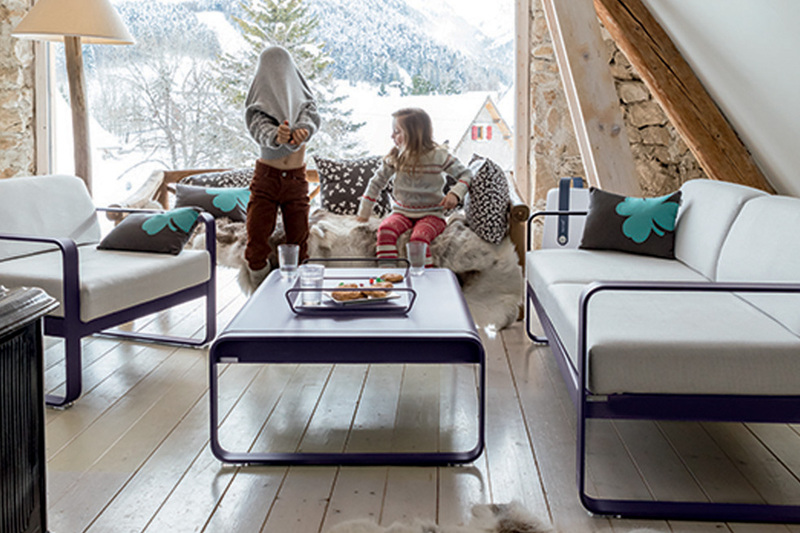 This piece is ideal for every season – keeping warm by the fireside with the family in winter, or hosting friends outdoors on a long summer evening.